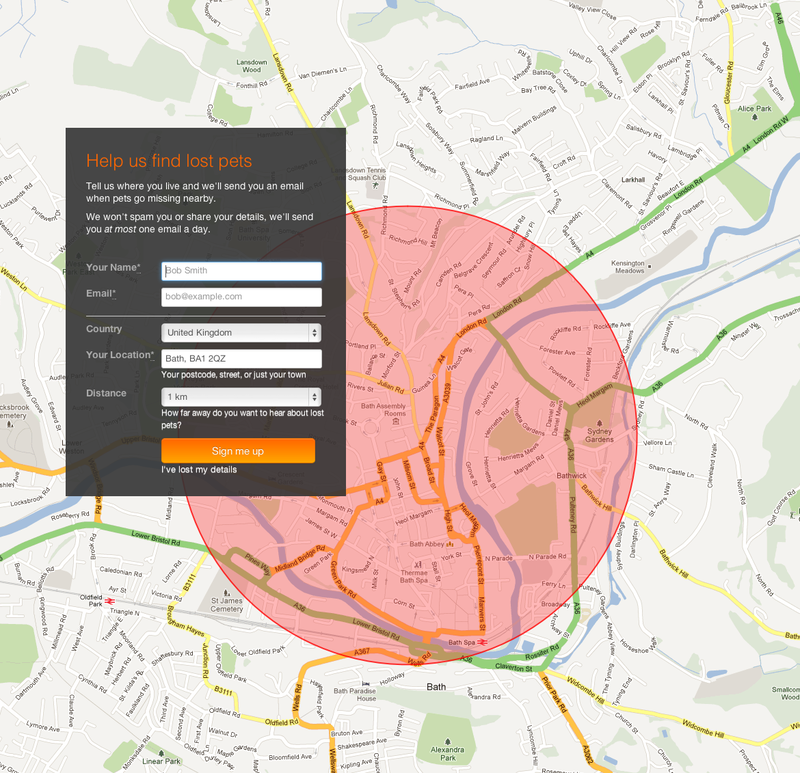 Bath based web developer Paul Leader has created a 21st century way to help find a lost pet, but he needed a front-end design and identity to make his idea really work. We were only too happy to help Paul out given we love pets and the idea, so we rolled up our sleeves and produced a design that utilised Paul’s location-based Google map coding to help users see right away where they’d be helping to find pets. Sign-up to Lost Pet Alerts now and help build a UK wide network of eyes to help find lost pets.